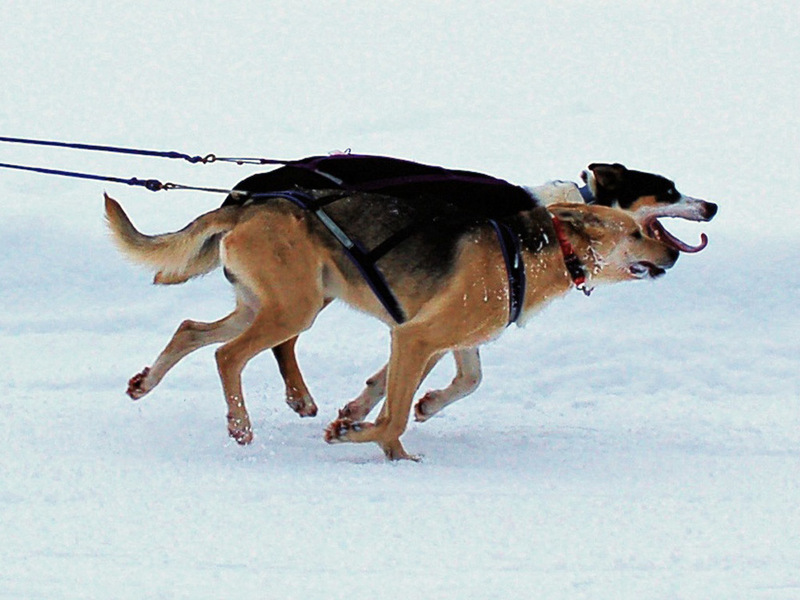 Becky Voris paced twenty-seven skijors and their dogs around a freshly groomed trail from Goose Lake to University Lake and back. She started out as bib one and finished fastest overall on the long course with a time of 18:41:07. Overall winner in the short course was Kathy Faryniarz with a time of 14:21:64. The long course wound through the hilly APU trails, and the short course stayed down the flatter Fur Rondy and city trails. The Paddle Boat Cafe at Goose Lake served pizza, espresso, and other goodies afterwards. A banquet with awards was held at Tokyo Gardens that evening.